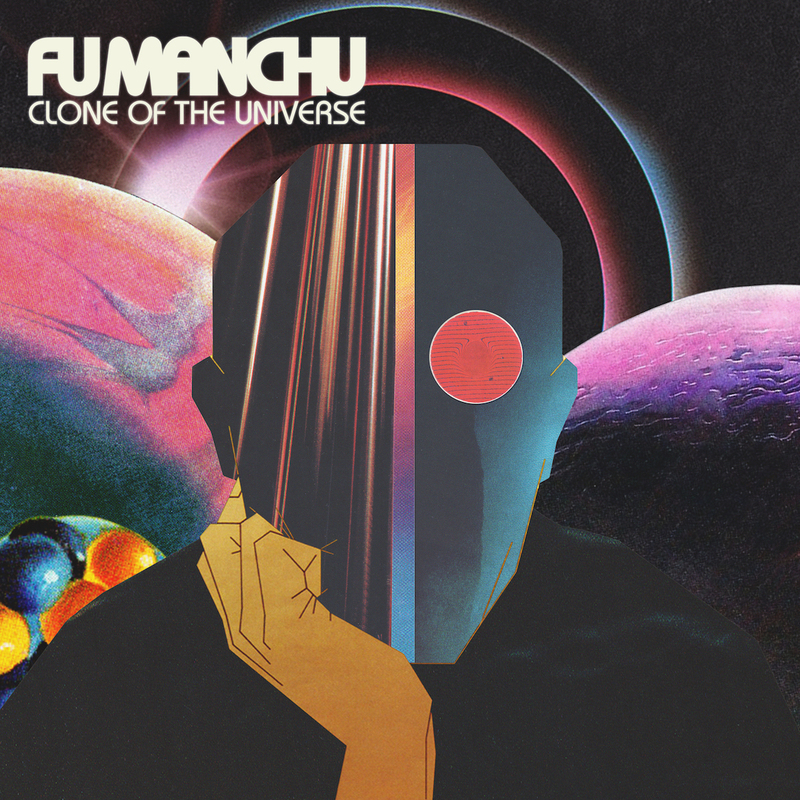 Southern California desert rock legends Fu Manchu are back with their 12th long player, Clone of the Universe. Following up 2014’s Gigantoid, the band delivers only seven songs on this new album. But, don’t feel short-changed – one of the tracks is 18 minutes long. If you’ve been following the band for the last 25-some-odd years, you know they’ve had various lineup changes, however Scott Hill (guitars, vocals), Bob Balch (guitar), Brad Davis (bass), and Scott Reeder (drums) have been holding it down for nearly 16 years. As you would expect, these guys have it dialed in and know how to give their fans what they want. Which is another way of saying, this is a pretty classic sounding Fu Manchu album, with the exception of the final track. The first six songs are concise, roll down the windows and step on the gas rockers. Huge riffs, thick bass, rumbling drums, and Hills laid back vocals are in full effect. Uptempo tracks, like album opener “Intelligent Worship” and “Don’t Panic,” groove with the best of any of the bands past material and have all the big choruses and hooks you know and love. Songs like “(I’ve Been) Hexed” and the title track show the band get a little more intricate as they incorporate unexpected time changes to mix things up. “Slower Than Light” and “Nowhere Left to Hide” are riff heavy numbers that display a slightly prog rock-ish element as the interplay between guitars and drums are exceptional. The album highlight is “II Monstro Atomico,” the 18-minute second side of the album. Divided into four-parts, this mostly instrumental track shows the band stretching out for the longest song in their lengthy career. Starting with a sludgy riff that slowly builds into an uptempo groove, the song continues to alternate between build ups and break downs as guitar leads and bass lines interweave. Oh, and guitar legend Alex Lifeson of Rush plays a part in this sprawling epic. But, don’t be confused that this is Fu Manchu’s novelty prog song, because it contains all the ingredients of the band and what they’re known for – it’s just 10 minutes longer than what they’ve done in the past. Lifeson is just the icing on the cake. If you’re a Fu Manchu fan, you’ll instantly dig this album. If you’re new to the show, you can start here and work your back through their catalog with ease. It’s a fun album full of catchy songs, great dynamics, and their signature fuzzed out guitars.